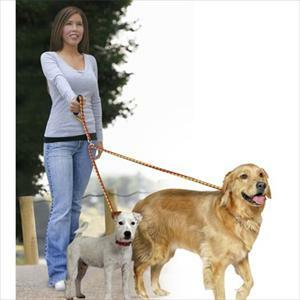 No Tangle Dual Pet Leash Walk two dogs at once! Leave no pet behind with the No-Tangle Dual Leash. Now you can walk both your furry friends with ease. The sturdy braided dual leads are strength tested to withstand over 500 lbs.